The move follows a story by ProPublica and The New York Times detailing how insurance companies and pharmacy benefit managers have made it easier to get opioid painkillers than less risky alternatives. A U.S. senator whose state has been devastated by the opioid epidemic sent letters Tuesday asking two major health insurance companies to remove barriers to non-opioid pain treatments. The letters from Sen. Joe Manchin, D-W.Va., follow a story by ProPublica and The New York Times, which detailed how insurers have restricted access to pain medications that carry a lower risk of addiction or dependence, even as they provided comparatively easy access to cheaper, generic opioid medications. 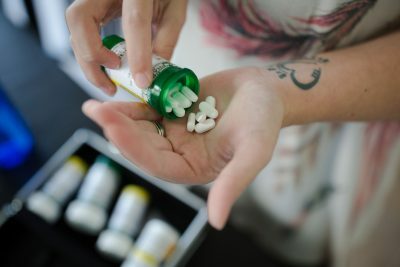 “The practices detailed in the article are the exact opposite of what we need and will only serve to worsen the opioid epidemic, putting more people at risk of opioid addiction and overdose death,” Manchin wrote in letters to David S. Wichmann, chief executive of UnitedHealth Group, and Joseph R. Swedish, chief executive of Anthem Inc.
UnitedHealth was cited in the story because it stopped covering Butrans, a painkilling skin patch that contains buprenorphine, an opioid that has a lower risk of abuse and dependence than generic, long-acting opioids. As a result, a patient said she turned to long-acting morphine to control her pain, went to the emergency room because she could not control her pain, and now visits her doctor more often than before. Anthem denied a request for Lyrica, a non-opioid, brand-name drug, for a patient who had been using it successfully to treat the pain associated with interstitial cystitis, a chronic bladder condition. She cannot afford the roughly $520 monthly retail price of Lyrica, she said, so she takes generic gabapentin, a related, cheaper drug. She said it does not manage the pain as well as Lyrica. UnitedHealth and Anthem defended their decisions and said they take the opioid crisis seriously. Both companies said they have been able to successfully decrease the number of opioid prescriptions taken by members. Anthem said a West Virginia affiliate, Unicare Health Plan of West Virginia, is expanding a program to offer substance use treatments as part of primary care, removing the stigma that may be attached to it. The insurer also said it covers non-opioid pain relief drugs “according to best clinical practice guidelines and scientific evidence,” noting that some carry retail prices of $350 to $1,500 per prescription. UnitedHealth has not yet responded to a request for comment. Until recently, the role of insurers in fanning — or at least failing to stop — the opioid crisis has not received as much attention as that of other players, including pharmaceutical companies, doctors and drug distributors. A day after the ProPublica/New York Times story was published, attorneys general for 37 states sent a letter to the health insurance industry’s main trade group, urging its members to reconsider coverage policies that may be fueling the opioid crisis. They want insurers to re-examine coverage policies that, as ProPublica and The New York Times reported Sunday, may be driving patients toward addictive painkillers. Insurers say they have been addressing the issue on many fronts, including monitoring patients’ opioid prescriptions, as well as doctors’ prescribing patterns. Moreover, at least two large pharmacy benefit managers, which run insurers’ drug plans, announced this year that they would limit coverage of new prescriptions for pain pills to a seven- or 10-day supply. Manchin’s daughter, Heather Bresch, is the chief executive of Mylan, a major pharmaceutical company. Mylan last month disclosed that it had received a subpoena from the Department of Justice seeking information about its manufacturing and sales of opioids. The company said it was cooperating. 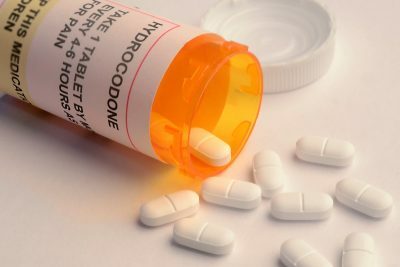 While opioids such as hydrocodone and morphine are often prescribed to relieve pain, they also have been linked to abuse and dependence. Drug overdoses are now the leading cause of death among Americans under 50, and more than 2 million Americans are estimated to misuse opioids. For our story earlier this month, ProPublica and the Times analyzed Medicare prescription drug plans covering 35.7 million people in the second quarter of this year. Only one-third of the people covered, for example, had any access to Butrans. And every drug plan that covered lidocaine patches, which are not addictive but cost more than other generic pain drugs, required that patients get prior approval from the insurer for them. Moreover, we found that many plans make it easier to get opioids than medications to treat addiction, such as Suboxone. Drug plans covering 33.6 million people include Suboxone, but two-thirds require prior authorization. And even if they do approve coverage, some insurance companies have set a high out-of-pocket cost for Suboxone, rendering it unaffordable for many addicts, a number of pharmacists and doctors said. Have you had trouble paying for prescription drugs? Tell us about it.